The purpose of this page is to encourage people to offer their thoughts as to the strengths and weaknesses of dualmode transportation concepts. Contributions are welcome and should be addressed to Jerry Schneider. If judged to be appropriate, they will be posted for everyone to see. A dualmode transportation system is defined as one that provides for travel on both the conventional street/highway system as well as on exclusive guideways under the control of a computer system (i.e. fully automated, hands-off operation). The basic idea is that such a system would make possible a transition from current conventional auto-dominated systems to a more effective system that adds a high speed, high capacity network for longer trips within and between large, often highly congested, urban areas. For an overview paper, see Dualmode, the Transportation of the Future, by Francis D. Reynolds. Also see a more recent paper by Reynolds that was published originally in The Futurist magazine, September-October, 2001. Also see the e-book which is the most up-to-date (2006) description by Reynolds, entitled The Revolutionary Dualmode Transportation System. It has 22 Chapters. The Danish RUF system is currently the leading and most extensively developed example of such a dualmode system, in Europe. The American MegaRail system has built a prototype guideway segment and vehicle. MegaRail is concentrating development on manually-controlled mass transit and commuter rail trains, but these trains will also incorporate a manually-controlled dualmode tram that consists of short dualmode trains that can leave the guideway and provide BRT type service to locations away from the guideway. This capability will be demonstrated in the full-scale, fully-operational production prototype slated for completion near the end of 2005. This dualmode tram will be both street and guideway capable and may well be the first real dualmode system to be demonstrated. A prototype vehicle was undergoing initial testing in late 2009. Persons unfamiliar with the dualmode concept are urged to review the RUF web pages, particularly the Frequently Asked Questions section, to gain an understanding the concepts involved. A checklist of dualmode issues is also available via the Table of Contents of the Proceedings of a national conference on dualmode transportation. Web pages on all other currently known dualmode concepts are available on a dualmode quicklinks page. New book: The Third Generation Roadway: Metropolitan Transport for the 21st Century, by Roger Davidheiser - quite inspirational, good graphics, paperback, 287 pp., 4/2011 - describes a visionary dualmode concept and includes an assessment of the concept. Information about the content of the book is available here. Abstract: This will respond to a July/26/02 Dualmode Debate item titled DualMode/RUF: My Misgivings An Essay by David Gow, and to his July/30/02 contribution, Dual Mode Debate: Where's the public transit? But first it will expound upon Reynolds' beliefs that a nationwide and worldwide transportation revolution is essential as soon as possible in order to adequately solve the world's transportation and related environmental and petroleum depletion problems. PRT alone would fall far short of the needed revolution. Abstract: Linear Induction Motors (LIM) and Linear Synchronous Motors (LSM) are non-contact motors. This attribute has some important advantages for a transport system. Nevertheless, the arguments against using LIM/LSM motors in a Dual Mode system are too strong. Abstract: This article discloses a simple new dualmode vehicle and guideway configuration, and makes comparisons between this configuration and the configuration Kirston Henderson proposes. It also includes an e-mail from Dr Richard Thornton to Reynolds, and addresses some opinions expressed by Dr. J. Edward Anderson in his recent debate contribution. Abstract: Capacity is a complex issue. It is not enough to compare numbers. Capacity comes in different qualities. In a network capacity is more complicated than traditional line capacity. This article tries to shed some light on the capacity issue seen from a RUF standpoint. Abstract: Dual Mode is more complex than Single Mode. Dual Mode can do the same as Single Mode plus something more. As a natural consequence it will be more complex. The good question is: Is Single Mode enough to solve the traffic problems of modern societies ? I think the answer is NO. Abstract: Outlines a plan to build 100,000 miles of intercity maglev guideway and 60,000 miles of urban maglev guideways that will link most of the neighborhoods of the country. For the rest of this century, use of the guideway will cut automobile capital costs in half and provide the funds for building the system. Energy costs are also reduced. Requests government assistance to initiate the maglev dualmode system by developing the technology and building the initial increment on the Interstate Highway System. Proposes user payment of capital costs by selling permits that allow use of the guideway during the life of the car. Abstract: This article is a response to Donald Richardson Arthur's item of November 30. Reynolds acknowledges that Richard Arthur, Hopkins, and other realists are right in their arguments that under ordinary circumstances building an extensive dualmode system for the United States would be next to impossible. However, Reynolds points out that we have extraordinary circumstances, and therefore the system will be possible by the special means he proposes here. This contribution also touches upon several related issues addressed by William Turnbull on December 12. Abstract: The controversy between the so-called true and palleted versions of dualmode continues. However, there is little, or no, empirical evidence upon which to base an informed choice.  Moreover, there are multiple issues which also must be resolved before a truly optimum design can be developed. Given the novelty and scope of this design problem, more than a single approach should be pursued. Only palleted dualmode provides the flexibility and the unambiguous central authority to accommodate the objective. Abstract: This is a partial rebuttal to an e-mail message from Markus Szillat, University of Bristol, UK, January 5, 2000, to myself with copies to others. Part of my long delay in responding is due to the fact that Markus pointed out a potential problem in the ramps of the hypothetical HiLoMag system that I did not have a good answer for at that time. Now I do. The concept named in the title above is believed to be unique, practicable, and well suited for use in the offline acceleration ramps of transit and dualmode systems using LSM on the guideways. As with all HiLoMag concepts, this invention is being placed in the public domain. Also included is further material on the use of and the advantages of synchronous guideways with asynchronous ramps. Abstract: This is a rebuttal to Palle R Jensen's contribution of October 4th, where he gave his reasons for rejecting maglev in his dualmode RUF system. Abstract: Autran systems initially built for carrying autos on pallets can help solve immediate and serious problems with use of automobiles, could be compatible with PRT systems and could also be compatible with "true" dualmode systems although such systems appear to have serious problems particularly with respect to costs. The modular construction of Autran systems could facilitate development of standards and help lead to nationwide automated transportation system for carrying passengers in passenger cabins, autos on pallets and freight containers. Abstract: The article describes the main reasons why the RUF system uses wheels on the guideway instead of magnetic levitation. Abstract: Firestone tires on the guideways? The dualmode fraternity needs maglev engineering knowledge. Maglev with linear motors is excellent technology that is ready for use in the national dualmode system. Our present fraternity will not design the national system, but we can introduce the concepts and influence the design. Slow freight is cheap transportation; fast freight needs justification. Coal or solar power to make guideway electricity? The switching of cars on the guideways will be easy, even with very close headways and very high speeds. The national dualmode system should be designed to solve or reduce as many problems as the concept is capable of. The guideways should accept both pallets and true dualmode vehicles. The ramps should not be owned by the guideway system. Dualmode taxis and dualmode rental-cars will eliminate the need for PRTs. Abstract: Pallets are not acceptable for providing a dualmode capability and should only be considered as a short-term element that will eventually fall into disuse. True ferry vehicles onto which cars can be quickly driven are preferred over pallets because of reduced loading time reduced terminal costs. A true dualmode electric car must be provided that operates both on streets and on the automated guideway and recharges it batteries during guideway operation. The dualmode car must use the same propulsion and suspension systems for street and guideway use in order to be built within acceptable complexity, cost, and weight limits. Provision of separate suspension and propulsion systems such as those necessary for maglev are probably impractical. Abstract: Kim Golterman is right in his contribution of Sept 7: The disadvantages of a system that provides separate pallets are overwhelming; a palleting dualmode system would not be optimal. The recent switch in thinking on HiLoMag, where we deviated from a supported true-dualmode-car system, was a mistake. 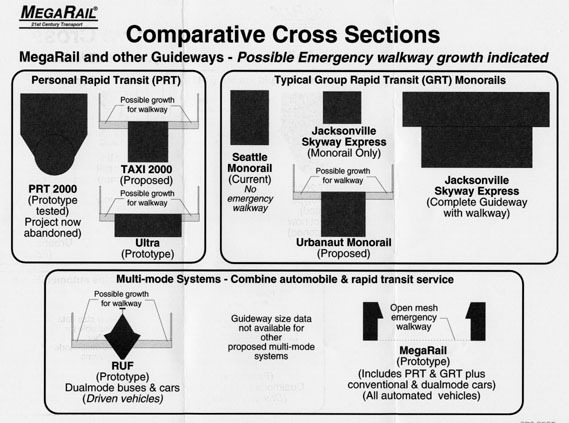 The HiLoMag system is again proposed to have guideways supporting the cars from below, and to use true-dualmode cars. Additional comments are made on the configuration of the guideway and the interfacing parts of dualmode cars. The thought of separate rental pallets for use with standard automobiles or special loads is introduced. Private companies would offer the occasionally used rental pallets, not the guideway system. Reaction to J. Richard Guadagno's Comments Regarding Essential Requirements and Setting the Record Straight Regarding His Megarail Misconceptions, by K. Henderson, 6/19/00. Critique of MegaRail's Essential Requirements as Described by Henderson, by J. Richard Guadagno, 6/00 (see below: An International Multimodal System Can and Will be Built, by K. Henderson, 5/00).